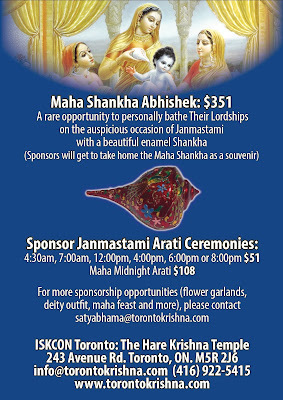 Janmastami Sponsorship Opportunities ~ The Toronto Hare Krishna Temple! Sri Krishna Janmastami, one of the biggest festivals of the year is just around the corner! 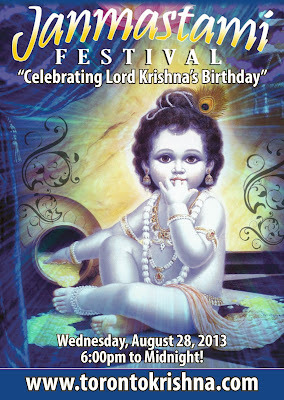 Lord Krishna's Birthday will be celebrated in a grand fashion on Wednesday, August 28th from 6pm to midnight, stay tuned for more details about the festival program. We’re always committed to make our festivals better each year. In order for this to happen we need support from the community. 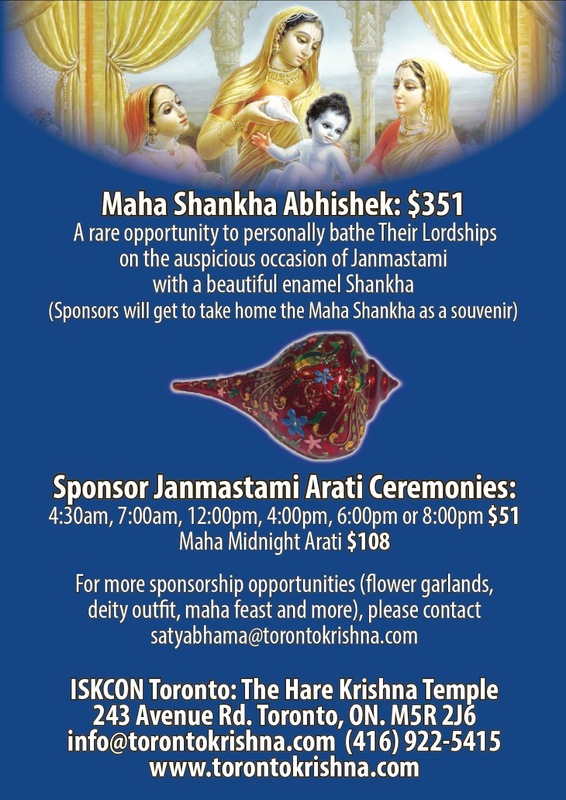 There are many sponsorship opportunities available for this year, please see below for details or contact Satyabhama devi dasi for more information. We hope to see you soon!